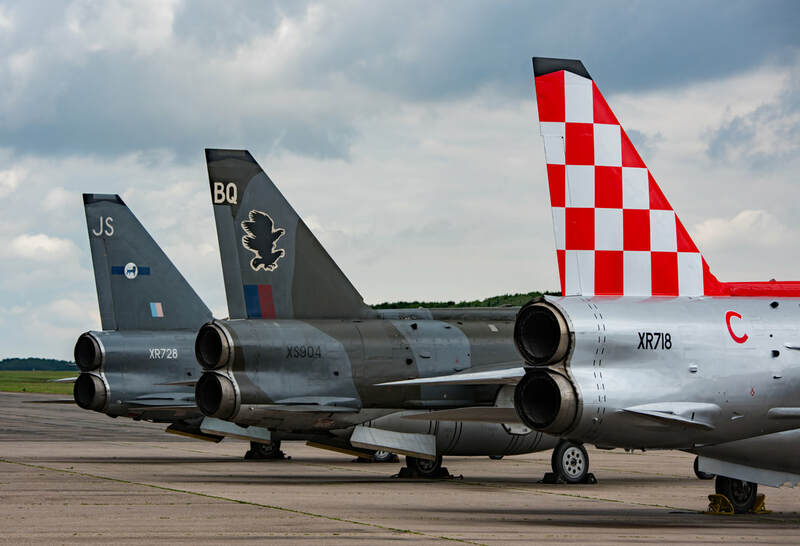 In the early to mid-1960s Lightnings of the Royal Air Force were often adorned with very flamboyant squadron markings and with the introduction of the F.3 variant the trend continued. No 56 Squadron applied a very lavish chequerboard scheme to their mounts which was looked upon by RAF officialdom as being somewhat over the top. 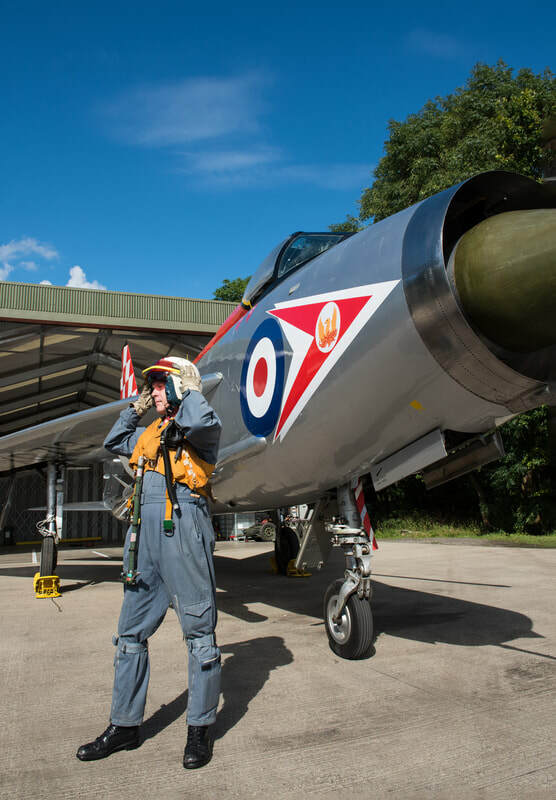 To this extent some RAF senior officers decreed that fighter aircraft should be decorated more conservatively and ordered that the markings be toned down, within a year the days of chequerboards, colourful spines and fin flashes were gone. 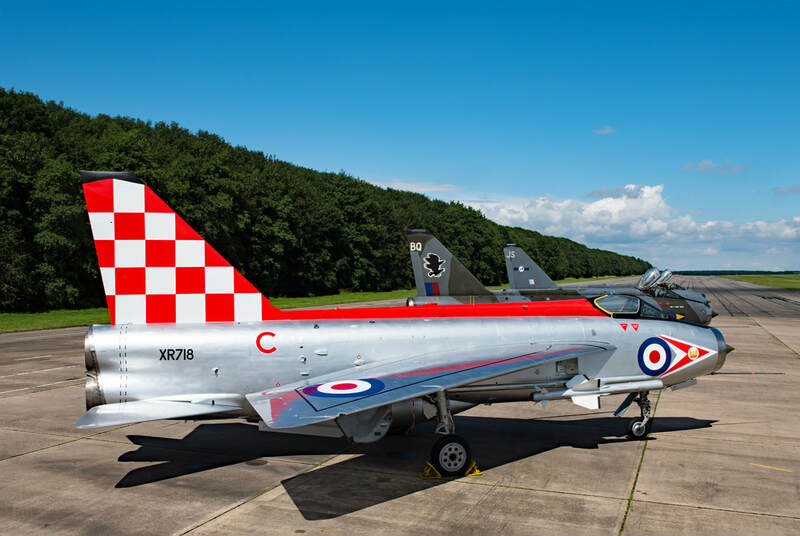 ​In an inspired piece of retro-thinking the Lightning Preservation Group in conjunction with a private sponsor, have repainted and marked their Lightning F.3 XR713 on the starboard side as F.3 XR718 of No 56 Squadron (The Firebirds). 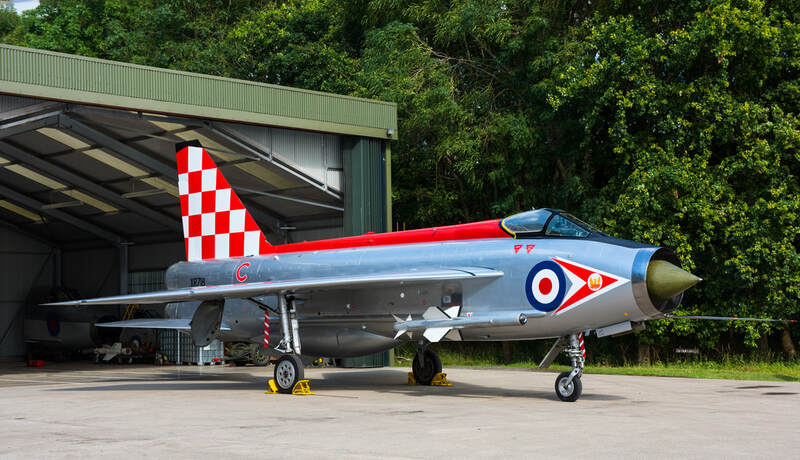 The new paintwork and markings were officially unveiled on 23 July 2017 at Bruntingthorpe and were chosen as one of the LPG’s pilots, John Ward, who undertakes regular fast taxy runs at the airfield, once flew XR718. 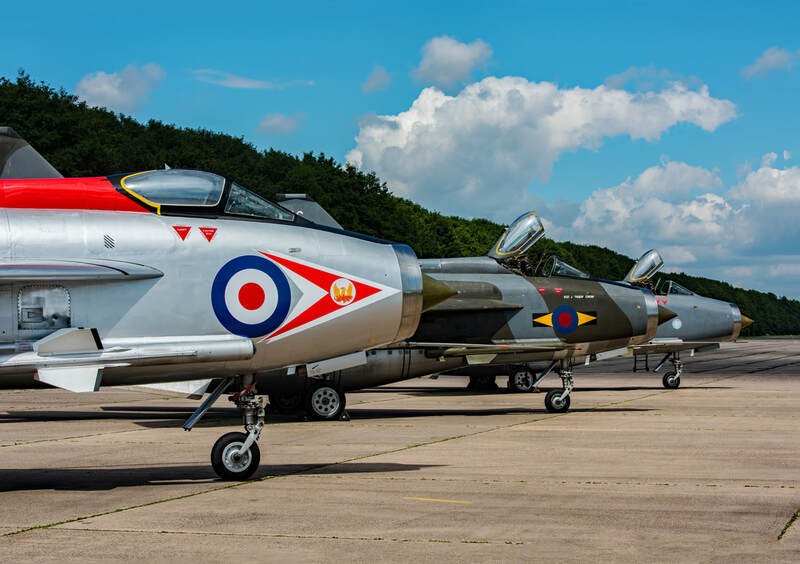 The F.3 retains the markings of No 111 Squadron on the port side and is seen pictured along with the Group’s Lightning F.6 variants XS904 & XR728 and outside the LPG's former RAF Wattisham Q-Shed.